I update this page as I continue to try the stalls at Lau Pat Sat. 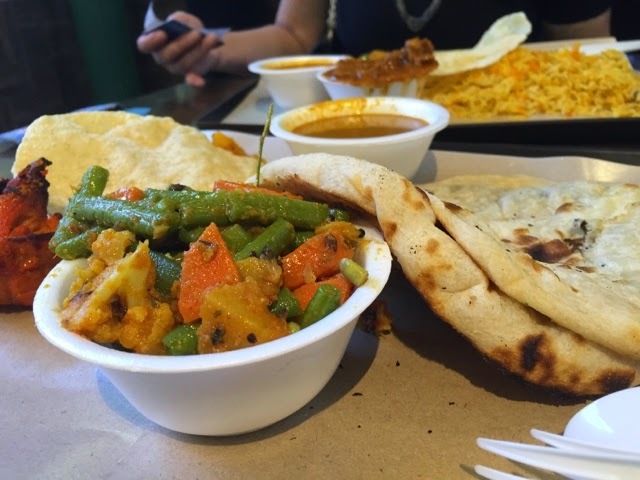 At SGD7, the set includes two vegetable side dishes, two chicken pieces, two slices of naans and a bowl of curry sauce. The naans, though served hot, was mildly sour. The curry on the other hand was very spicy. 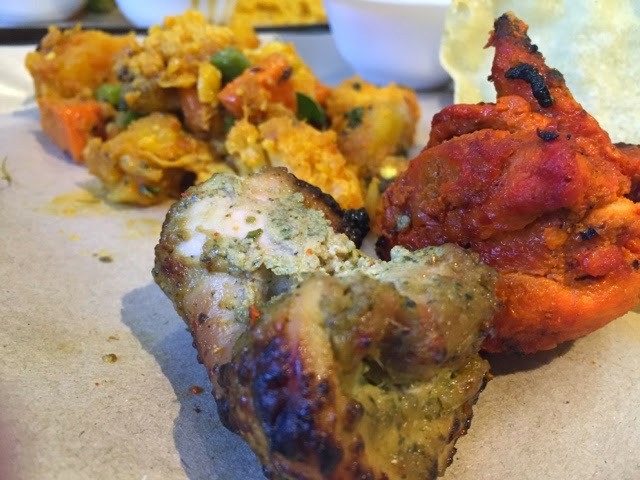 The tandoori chicken was tender but lacked something, which I could not point it out. The other chicken piece was a little tender but it had a lot of spices in it. What I liked most was the vegetable dishes. I love the masala potatoes and long beans. Both side dishes were freshly prepared. 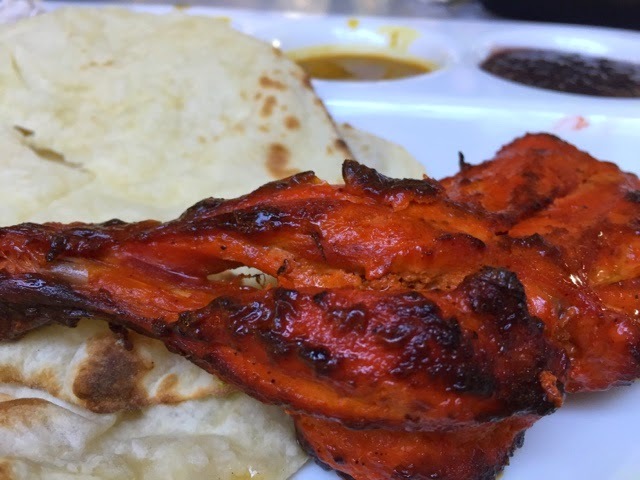 Anjappar offers naan set which comes with Tandoori Chicken. 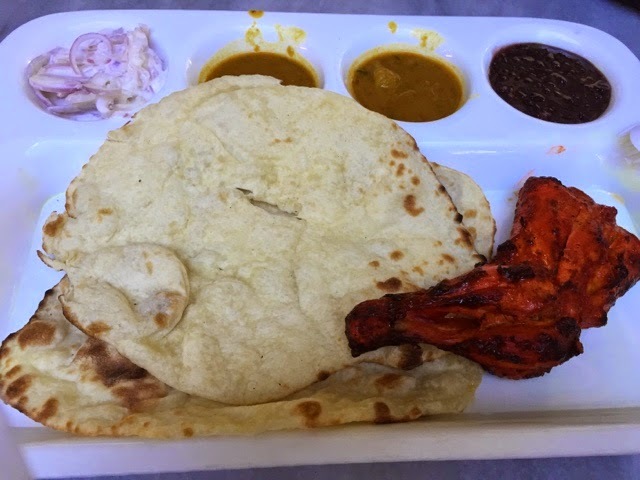 Priced at SGD8, you will get two pieces of plain naan and the chicken. The naans had lightly charred corners with nice aromatic fragrance. The set came with curry gravy, which was spicy and aromatic. The tandoori chicken was delicious, though it was a little scrawny in size. 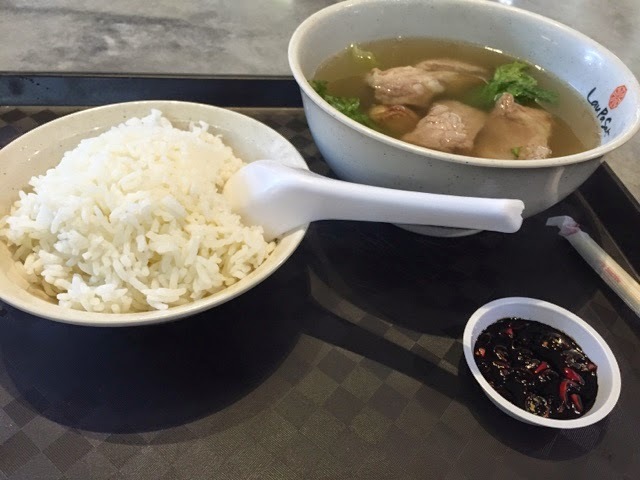 Bak Kut Teh or Pork Rib Soup is one of Singapore's local food. When you are in Singapore, you may find it almost everywhere in the city. At Lau Pat Sat Festival Market, you will also find at least one stall selling Bak Kut Teh. 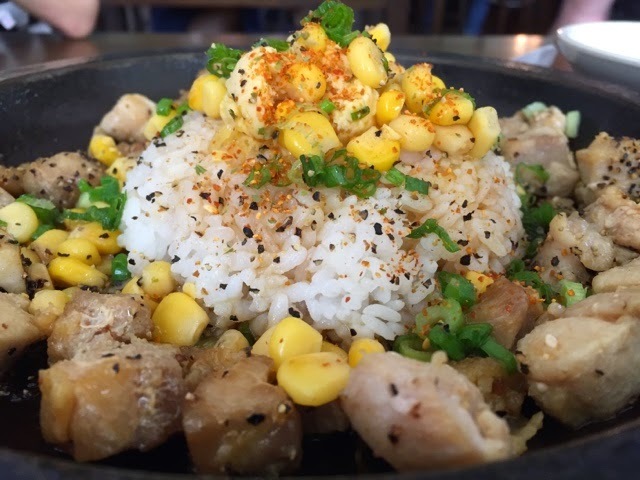 At SGD5.50, you can have a bowl with steamed white rice. The soup was a little spicy because of the white pepper. 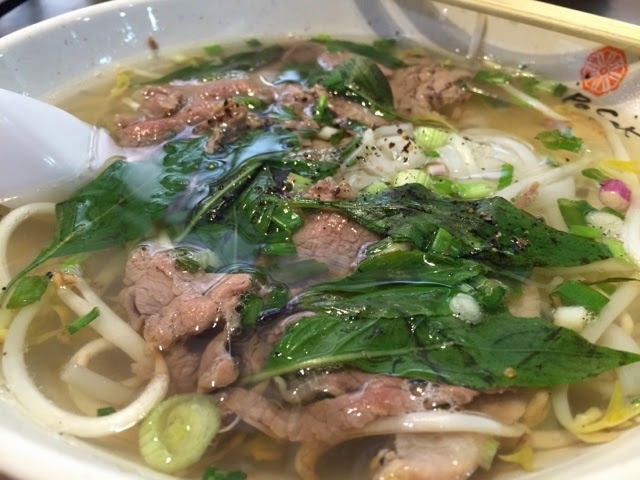 What I did not like about the soup was that it was not fragrant enough. It lacked something in the soup. The pork rib was tough and it was very difficult to bite the meat, making the meal very inconvenient. I will definitely not coming back again. Tucked within the Lau Pat Sat Festival Market, you will find a nice stall - Turkish Cuisine. 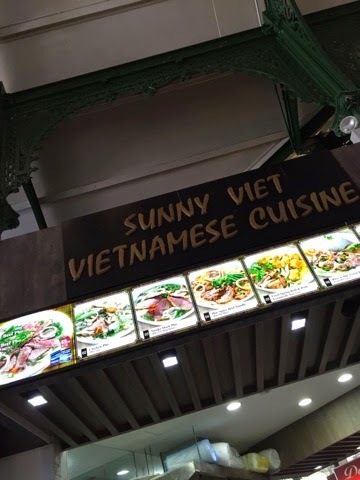 This stall also have restaurants at Suntec City and Upper East Coast Road. Priced less than SGD7, you can enjoy a generous serving of Chicken Kebab wrapped with lettuce, tomatoes, cucumbers, drizzled with white sauce and hot sauce. 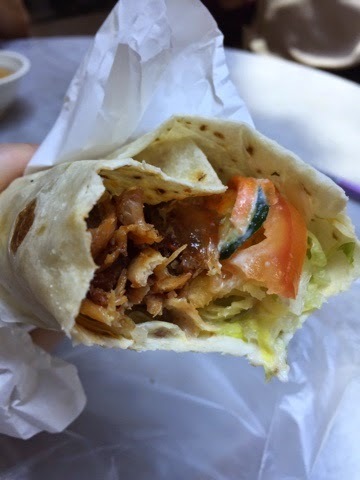 What I like about the wrap was that it was very filling and the kebab was tender and flavourful. The Japanese Teppanyaki stall offers a variety of food items such as ramen, beef teppanyaki, chicken teppanyaki and curry rice.